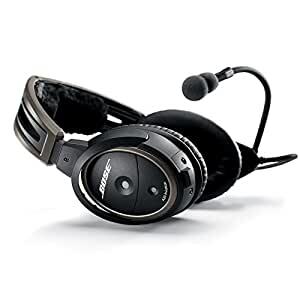 Sold by: Gulf Coast Avionics Corp.
Amazon's Choice for "bose a20"
No matter why you fly, the Bose A20 Aviation Headset is engineered to improve the experience. 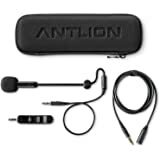 It provides acclaimed noise reduction and clear audio with active equalization. Plus, a comfortable fit with minimal clamping force that makes even your longest flights more enjoyable. 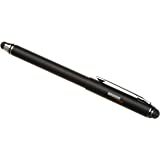 Features for this model include a high-performance electret microphone with a Bluetooth audio and communications interface, wired audio input, customizable audio prioritization and intuitive operation for plug-and-fly convenience. Can be used in a wide variety of general aviation and commercial aircraft. 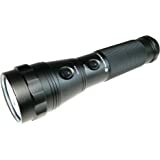 Battery-powered, comes with Bluetooth control module, high-performance mic. 64 inches. 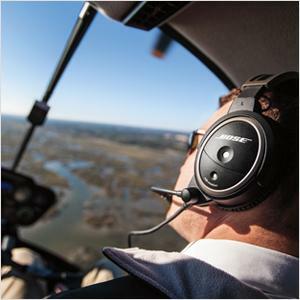 With 30% greater noise reduction than conventional aviation headsets, you’ll enjoy a peaceful flight that lets you focus on what matters--flying. At just 12 ounces, with minimal clamping force, the A20 Aviation Headset is one of the lightest and most comfortable aviation headsets you’ll find. 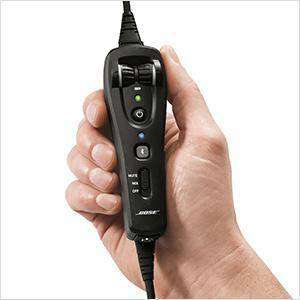 Bose Active EQ keeps the audio clear and distinct, whether you’re listening to music or an important communication. 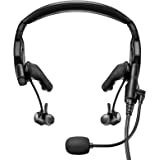 Ergonomic control module includes Bluetooth connectivity for taking calls or listening to music, with a customizable audio prioritization control with “mute” and “mix” settings. 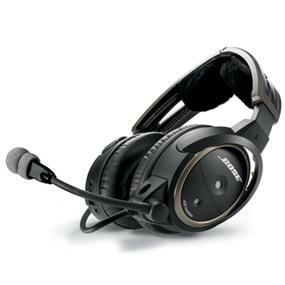 Provides connectivity between your headset and your audio, communications and navigation devices. 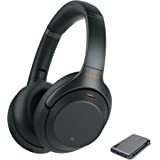 The Bose Aviation A20 Bluetooth Straight Cable Noise Cancelling Headphones come included with a Batteries, Microphone, Straight Cable, Dual Plug and a Bose Travel Case. The headphones are used and show only minimal signs of wear - please check all our photos. We ship on the same Business Day if the order comes in before 3 PM West Coast Time. All orders are shipped safely with USPS Priority or FedEx. Estimated delivery time is 4-8 working days. (( Serial # 312130800121 - For Insurance & Security Purposes )). We take actual photos of every item we sell. Please ask us about our detailed Return-Refund-Claim Policy if you have questions. Returns are accepted up to 2 days after delivery with a 10% restocking fee and non-refundable shipping costs, or 3-14 days after delivery with a 20% restocking fee, no refunds after 14 days. If the item arrives damaged, we accept a return within 48 hours after confirmed delivery. We ship from our WA or BC stores. It was time to replace my 20+ year old David Clark's, and I was torn between going with the DC ONE X or the Bose A20. I've been a loyal DC customer for a long time, and their products never let me down, plus the DC's are roughly 25% less expensive. 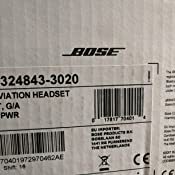 But I've also flown with Bose, and they've always impressed me with the amazing Bose noise suppression. In the end, since I needed a pair of headsets, I ended up buying one of each - and so far, I have no regrets about either purchase. 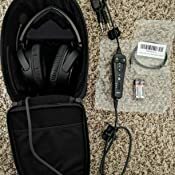 If you're in this position too, I thought I'd offer a comparison of these two terrific products...to me, there's no clear hands down winner here - each headset is good at different things. Indeed, both are amazing in their own right, and the good news is that this means you can't go wrong with either one, especially if you're like me and are upgrading from older technology. In terms of overall construction quality, I'd give a slight edge to DC. Both are very good and should hold up a long time, but the Bose feel like high-end consumer products, while the DC's feel "professional". Although the Bose are slightly lighter, the DC's are quite a bit more compact with a smaller control pod. The Bose case is larger, but more protective. 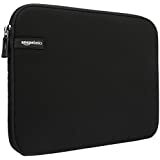 Both products pair easily with Bluetooth phones/tablets, and I've had no connectivity issues with my iPhone or iPad. I don't like that both products make it difficult to access the optional features like auto-off and stereo/mono. Granted these tend to be "set and forget" options, but in both products, you need to pop open the battery compartment and remove the batteries to change these settings. Speaking of batteries, I use lithium batteries in my headsets, and both seem to provide better battery life than you might think - at least 50 hours. In terms of comfort, there's no clear winner. To me, the DC's feel smaller but less secure on my head - in turbulence and with thicker sunglasses on, they sometimes slide around on my head, no matter how I adjust them. The Bose have larger ear cups that tend to feel more secure, although they also tend to make me feel a little sweaty in warm weather. In smooth air, the DC's are more comfortable to me, but I don't like the sense that they might shift on my head if I move too quickly. As for overall sound quality, both are good, but to my ears, the DC's are slightly clearer with voice communications. I think the better noise suppression in the Bose does interfere slightly with audio legibility, and sometimes I find myself struggling with ATC communications that seem to come through more clearly on the DC. I find the microphones to be a tie - I've never had less than a "loud and clear" response on any com check, and they work equally well with my phone or with the airplane. Of course, the reason you spend big bucks on a headset like this is for the noise suppression, and here is where the Bose headsets excel. 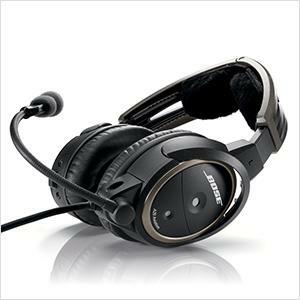 Although the DC's are quite good, the Bose are simply better. Sometimes I'll switch from one or the other in flight, and the difference is immediately obvious. On the other hand, if you didn't have them side by side, you'd probably find either one to be more than good enough - but if you fly in a really loud environment and want the best possible noise suppression, then the Bose is the winner in this regard. I'm happy to say that both are made in the USA, and both companies have good customer service. 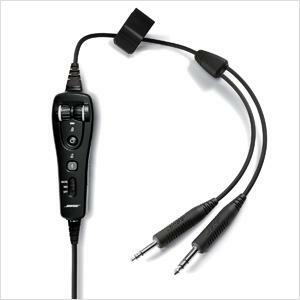 DC especially has really impressed me over the years...I once had a ten year old headset repaired (I crushed the cord), and they came back with new ear seals, headband pads and so on - all at zero charge to me. 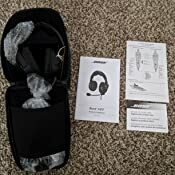 Bottom line is that I'm happy with the Bose A20's and if you're looking for the best aviation headset that will have maximum noise suppression in a noisy cockpit, then you can't go wrong with the Bose - although in my opinion, they aren't the only game in town. 4.0 out of 5 starsThe strange feeling of near silence in the cockpit. I upgraded to the Bose A20 from a Telex 850 in the cockpit of a Boeing 737. I didn't get the immediate satisfaction I had expected because it took a full day to adjust to the incredibly strange and unfamiliar feeling of near silence in the cockpit between radio transmissions. After I convinced myself that nothing was wrong... amazing. I underestimated the value of not missing/misunderstanding radio and interphone comms. Being able to clearly hear and understand ATC and the other pilot hugely increases one's situational awareness. Great product! The use of hot mic on interphone by the other pilot transmits a low volume background white noise that is not noise cancelled by the Bose. Hot mic on interphone causes the bluetooth mix setting to continuously mute the bluetooth. 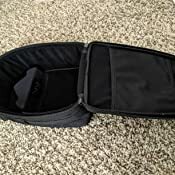 The bag is much smaller than the old Bose X headset bags, requiring extra time to carefully position the headset and wires to zip it up. 5.0 out of 5 starsStudent Pilot Review. Student pilot who may have gone a level above what is required at this stage. I wanted a headset that would last through all of my initial training and into whatever, or however, I decide to use my training. 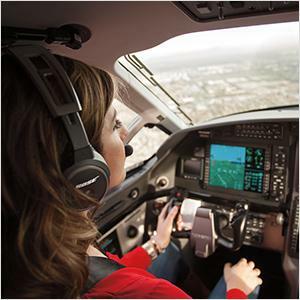 Noise canceling in the Diamond Da-20 and Da-40 is great. Small popping sounds can be heard when taxiing with the window open. I imagine the air rushing by the ear cup microphones may effect the noise cancelling ability. This is not a loud or high pitch popping sound that I would consider grounds for complaining but it is still noticeable. Highly recommend these for training. They are great at eliminating noise and allowing for better understanding of ATC communication that can be confusing in the beginning stages. Microphone also seems to work well. I get a crackling sound and the bluetooth does not work after 2 weeks of use. Bose will fix it, but its supposed to take a month to get it back. Disappointed they went to an Indian call center who just doesn't care like the US did. 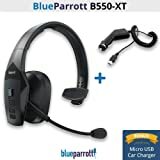 5.0 out of 5 starsBest headsets in the market. There's little I can say that has not been said yet about this headsets. They are the best headsets in the market. The quality of the ENC is amazing and the quality of the mic too. 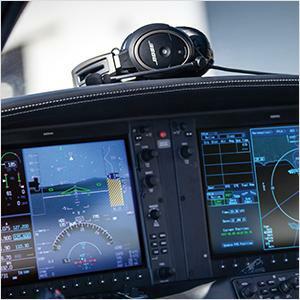 Even though this headsets are mainly developed with GA and more in particular pistos driven or turboprop airplanes in mind, I use them in the jets I fly. It took me a few days until I got used to talking with the ENC activated. At the beginning it feels like talking with your fingers inside your ears, it is so quite that you hear yourself. After a while you get used to that and one starts enjoying of the best ENC available in the market. Had a couple issues right out of the box. Of course Bose and Amazon will take care of anything without resistance so no worries there. In the cockpit it just doesn't get any better. Engine noise even the conversation in the back goes away. I even use them when I'm commuting because it's the best defense against the screaming babies as we're climbing through FL180. Comfort is pretty awesome too, done 8 hours in them with no pain or squeezing feeling. Sets the mark high. 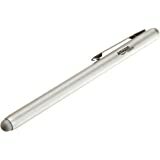 Compared it to a DC-pro X. Noise reduction is superior. Audio quality is superior. Drawbacks: more expensive. More clamping which can make skull ache. Larger/bulkier. One clip that clips the cord to the aircraft broke on the first trip. For performance I would give it 5 stars. 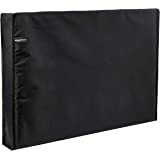 AmazonBasics New iPad Pro 2017 Smart Case Auto Wake/Sleep Cover, Black, 10.5"